Sgt. Ryan Pettit, left, and Cpl. 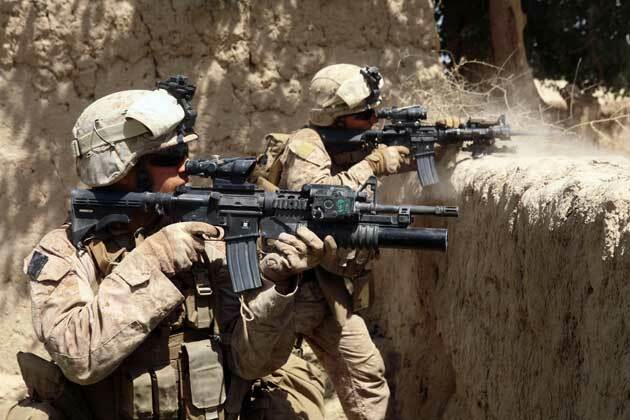 Matthew Miller, from 2nd Battalion, 8th Marine Regiment, fire their service rifles during an operation in Helmand province, Afghanistan, July 3, 2009. The Marines are part of Regimental Combat Team 3, Marine Expeditionary Brigade-Afghanistan. (U.S. Marine Corps photo by Sgt. Pete Thibodeau).